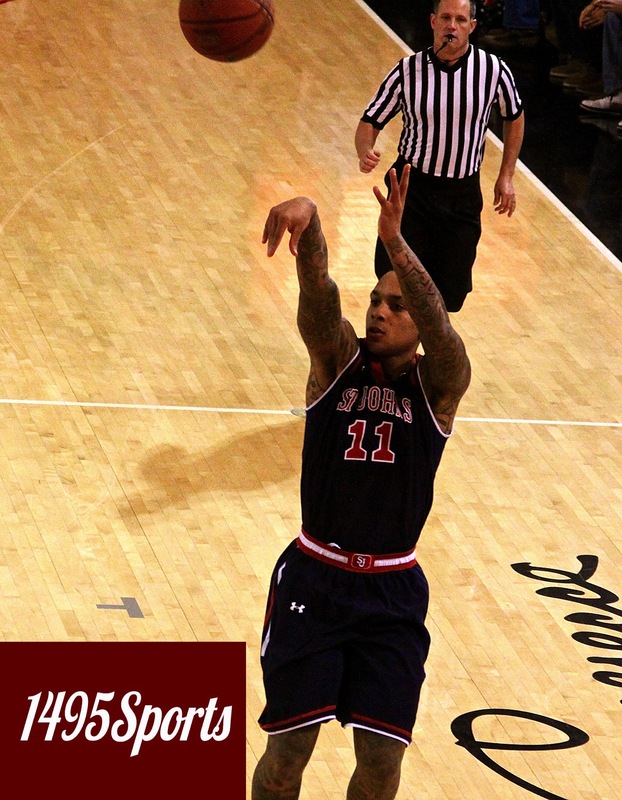 Already named to the Midseason Top 25 List for the 2015 John R. Wooden Award, St. John’s senior guard D’Angelo Harrison has now been selected to the Midseason Watch List for the 2015 Lute Olson Award. Presented annually since 2010, the Lute Olson Award recognizes the nation’s top Division I player with at least two years of collegiate experience. Finalists will be announced in March, while the winner will be selected at the CollegeInsider.com Awards Banquet in Indianapolis on April 3. Harrison currently ranks second in the BIG EAST and 17th in the nation with a career-best 20.0 points per game. The senior is fifth in the league with 2.0 3s made per game and 11th with 5.9 rebounds. Harrison also ranks seventh in the conference in free throw shooting at 82.1 percent and averages 35.8 minutes per game, second-most in the BIG EAST. A two-time BIG EAST Player of the Week and a four-time Weekly Honor Roll selection this season, Harrison has recorded 10 20-point games on the year and has reached double-figures in 16-of-17 contests. The senior has surpassed the 30-point plateau twice, scoring a season-high 31 points against both Butler and Franklin Pierce. The first team Preseason All-BIG EAST selection opened the conference season with four-straight 20-point games and ranks second in the league with a 22.4 scoring average in BIG EAST games. With 978 points in his BIG EAST career, Harrison is just 22 points shy of becoming the 38th player in conference history to reach the 1,000-point plateau in league play. Third on the St. John’s all-time scoring list and fourth among active Division I players with 1,941 points in his career, Harrison has reached double-figures in 94-of-109 games played and has scored at least 20 points in 49 contests. The senior is on track to become just the third member of the St. John’s 2,000-point club, joining Chris Mullin (1981-85, 2,440) and Malik Sealy (1988-92, 2,402). Harrison already owns the program’s career 3-point field goal record with 232.